Your blood glucose levels are dynamic. Blood sugar levels change depending on your diet or the time of day they are tested. There are specific ranges your doctor may use to determine if you are healthy or at risk for developing diabetes. 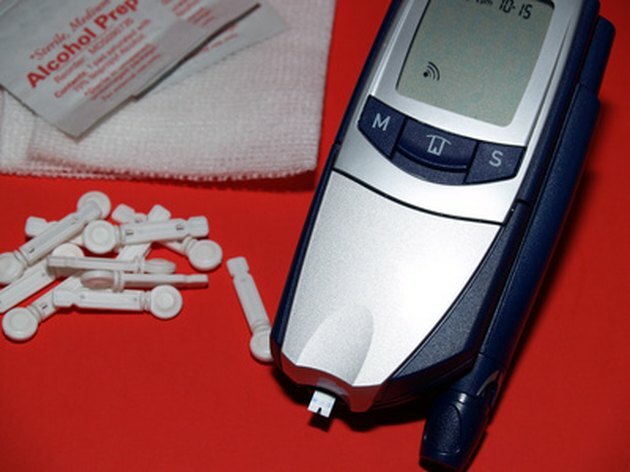 A fasting blood glucose test measures the amount of glucose in your blood after an eight-hour period without any food or beverage, other than water. According to the American Diabetes Association, a normal fasting blood glucose level is less than 100 mg/dL. You may be considered a prediabetic if your fasting glucose is between 100 and 125 mg/dL. Your doctor may diagnose diabetes if you have two consecutive elevated fasting blood glucose tests greater than 125 mg/dL. Everything you eat affects your blood glucose. A sign of diabetes is your body's inability to effectively clear the glucose from your blood. A postprandial blood glucose test is done after you eat a meal. Monitor your blood sugar levels after eating, in your own home, if you are at risk for developing diabetes. Tracking blood glucose levels after eating allows you to look into how your body is reacting to the food you eat. Your postprandial blood sugar reading should be less than 140 mg/dL. Another test your doctor may wish to perform is the oral glucose tolerance test. This test usually takes place in a lab after you have fasted for at least eight hours. You will drink a highly concentrated glucose beverage, and after two hours your blood glucose levels are tested. A normal two-hour glucose test should reveal a blood glucose of 140 mg/dL or less. Your daily activity and overall diet affects how your body handles your blood glucose. Randomly testing your glucose throughout the day can give you and your doctor a good idea of your normal, everyday blood glucose. Any time throughout the day your blood glucose levels should remain somewhere between 100 to 200 mg/dL. You may be diagnosed with diabetes if you have chronic readings greater than 200 mg/dL as well as symptoms of hyperglycemia, including fatigue, unexplained thirst and urination.